Welcome to Midlife Rambler. I’m Katy. I live in the beautiful southern city of Atlanta, Georgia, which means that each and every time it snows 1 inch or more, I will post no less than 40 pictures exclaiming about the beauty. I have 3 children who now all live in Brooklyn, far away from home. After close to 25 years with children at home, I am now an empty nester. It’s been an adjustment for me to move from Mom-mode to backing off a bit and finding my own rhythm as an empty nester. 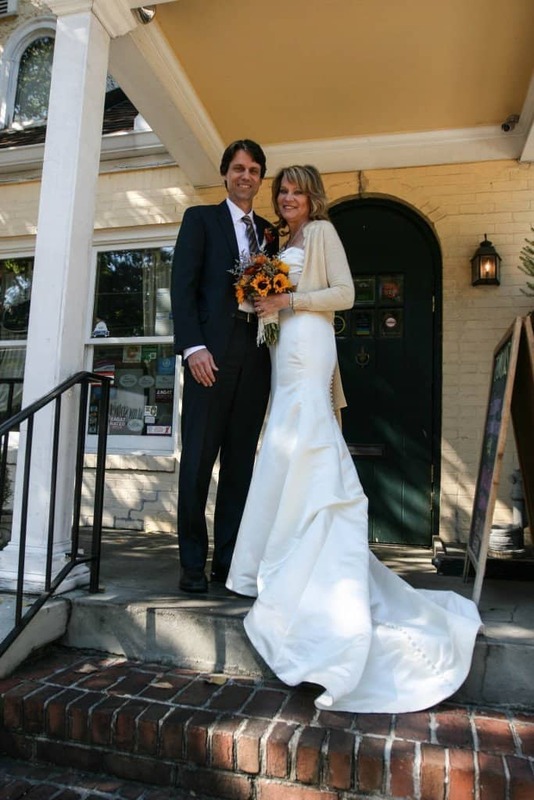 In 2013, I married my sweet, sweet husband. So, I’m an inappropriately old newlywed who inappropriately wore a white wedding dress and I’m very happy about all that. I started Midlife Rambler because I like reading so many of the great lifestyle blogs out there written by all the creative 30-somethings of the world but I wished I had something to read that was a little more focused on the interests and needs of women my age. Women my age often seem to be under-represented and it can be difficult to find places on the Internet that speak to us and value us. Women at midlife are entering a new phase of our lives: a phase where we (mostly) stop focusing on raising our children and starting planning our next act. What will that look like? What do we even want anyway? So I decided to create Midlife Rambler, which focuses on fun stuff like recipes, style, fitness, hobbies and travel, but also talks about issues we’re all facing these days: hot flashes, children who are grown up or almost there, settling back into a smaller household, and trying to decide what you want to do with the rest of your life. P.S. I occasionally share the wisdom of other bloggers on Midlife Ramber. If you’d like to submit a guest post, please refer to How to Guest Post for Midlife Rambler. I also love working with brands that support midlife women. If we seem like a good fit, check out my Advertising and Brand Guidelines for more information. If you would like to contact me (and I hope you do! ), simply send an e-mail to katy@midliferambler.com and I’ll respond right away.